Complete the look of your outdoor living space with our A-Grade Teak Floor Tiles. 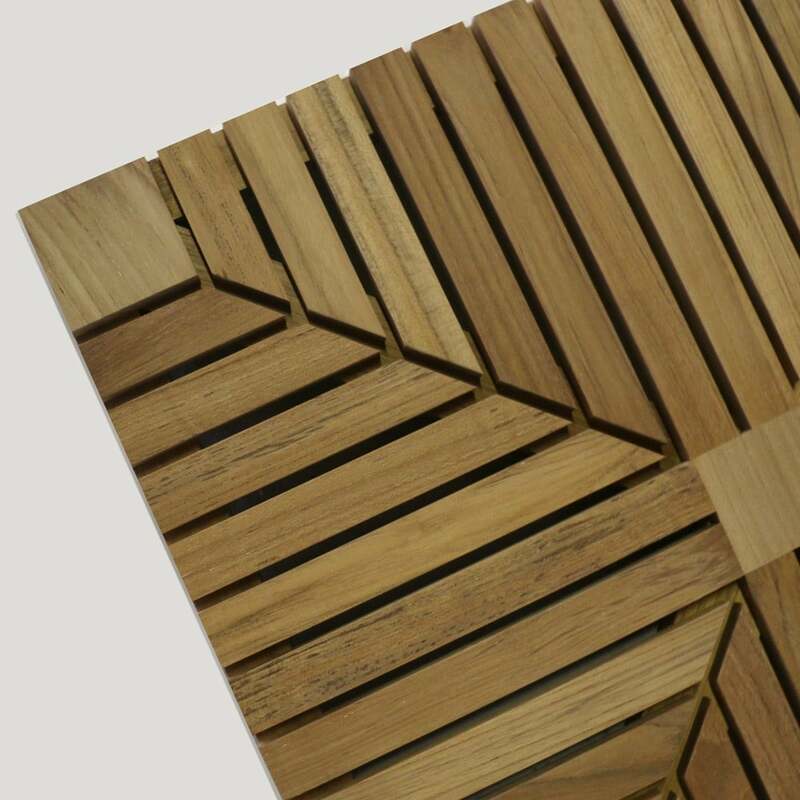 They will beautifully define your space and give it an organic, warm, and welcoming feel. 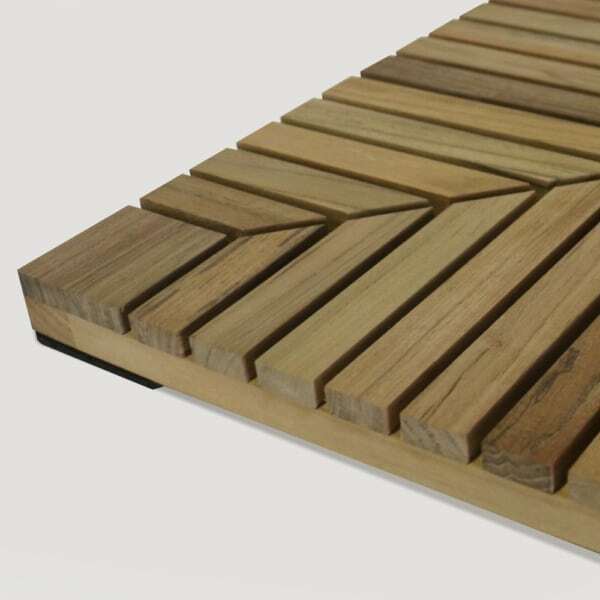 It’s the ultimate finishing touch to your deck, patio, porch or terrace. 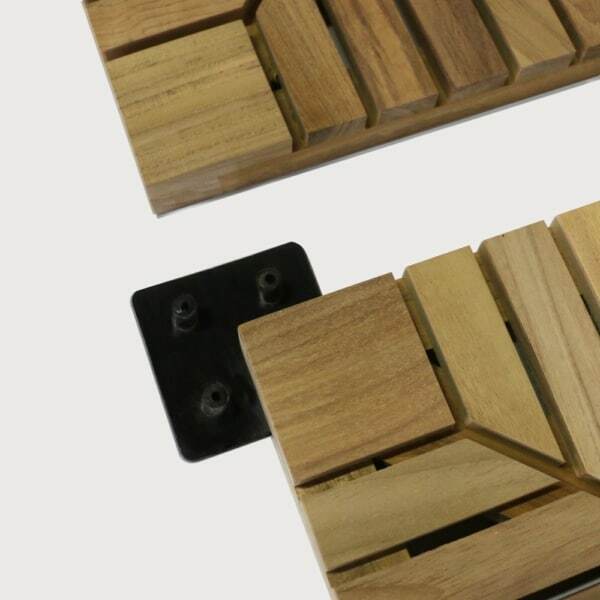 Our teak tiles are sold in groups of 4, this includes 9 rubber connector pads. Each tile is constructed with cut a-grade teak slats and held together with stainless steel fittings ensuring quality and strength. 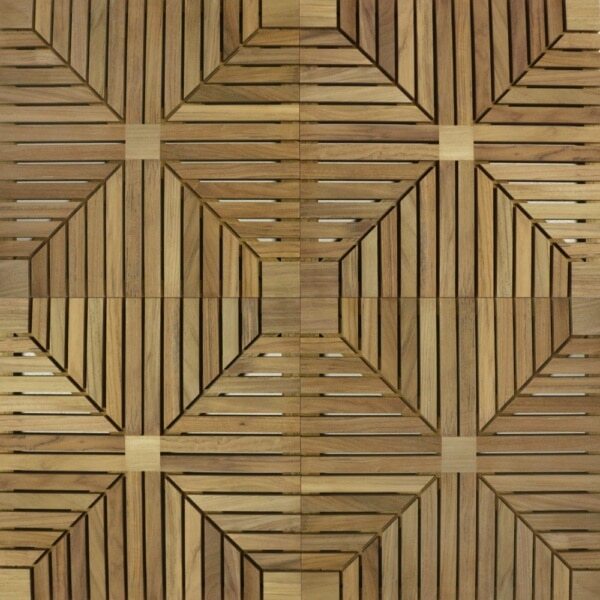 You do not need any tools or glue to secure the tiles together. The rubber pads snap into place at each corner and join the tiles together. Call us today to secure the quantity that you need for your residential or commercial project. W19.7" x D19.7" x H1.2"